Showcase events will offer all IEHJA, T.I.P., & GSDHJA classes under the USHJA Outreach Umbrella with no USHJA membership fee. Showcase Horse Show Series (SHSS) Management reserves the right to limit or revoke participation at any time to anyone. Riders and/or horses deemed unsafe by SHSS Management will be asked to dismount and leave the ring immediately. Anyone wishing to ride on the premises on the day of the show must have a completed Release of Liability on file with the show secretary prior to mounting. Exhibitors are to compete at their own risk. IEHJA, USHJA, T.I.P., GSDHJA, SHSS, and Showcase Training Stables are not responsible for loss of property or personal injury. ASTM-SEI approved helmets with harness and boots are required for anyone on horseback while on show grounds. Proper show attire is required. Any questions/issues not covered by IEHJA rules will be under the discretion of SHSS management. SHSS Management reserves the right to cancel or combine classes at their discretion. A minimum of 3 entries are required for a class to run. A division must fill at 3 Showcase Shows for a SHSS year-end high point to be awarded. Lunging and warm-ups in designated areas only. Class Fees will be refunded only if SHSS Management cancels the class, or an official scratch form is filed in the show office before the class starts. There will be a fee of $25.00 for all returned checks. No warm-up tickets for Medal classes. No braiding please. No stallions. PLEASE—NO DOGS! Entry fee(s) will not be refunded in the event the rider is absent, disqualified, or excused from competition. Division High Points tabulated on a 10-6-4-2-1-1/2 scale. Eligibility—Registered TB, tattooed TB, or certificate from the Jockey Club. Horses must apply with the Jockey Club for a T.I.P. number. 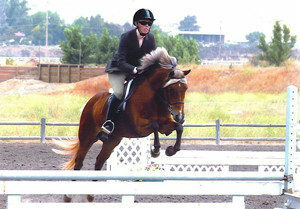 Horse show entry form must include horse's registered name, horse's show name, rider and T.I.P. number. Without this information, points will not be reported. T.I.P. only classes do NOT count for daily and series high point awards. Points earned will be tracked by the Jockey Club toward T.I.P. High Point awards. Showcase event will be offering all IEHJA, T.I.P. and GSDHJA classes under the USHJA Outreach umbrella. Green Rider Division (Jr/Am) - Fences 2'3"
Baby Green Hunter Division - Fences 2'3"
Thoroughbred Hunter Division - Thoroughbreds Only - Fences 2'3"
Low Children/Adult Amateur Hunter Division - Fences 2'6"
Low Children/Adult Amateur Equitation Division - Fences 2'6"
Low Hunter Division - Fences 2'6"
Children/Adult Amateur Hunter Division - Fences 2'9"
Children/Adult Amateur Equitation Division - Fences 2'9"
Modified Hunter Division - Fences 2'9"
Walk‐Trot Division: Open to junior and amateur riders to be shown at the walk and trot only. Once a rider competes in any other division, he/she may not return to the Walk-Trot Division. Points in this division follow the rider. Cross‐Rail Division (18”): Open to junior and amateur riders. Fence height is 18". Riders may enter any flat class in any division with fences not to exceed 2’3”. Riders may trot or canter the fences. Points in this division follow the rider. Riders who have competed over fence heights of 2’ or higher may not compete in this division. Short Stirrup Division (2’): Open to junior riders age 12 and under as of December 1st of the show year. Fence height is 2’ with no oxers. Riders who have competed over fences higher than 2'6" in height are not eligible for this division. Riders may not cross enter into classes with fence heights exceeding 2’3”. Points in this division follow the rider. Long Stirrup Division (2’): Open to junior riders age 13-17 as of December 1st of the show year. Fence height is 2’ with no oxers. Riders who have competed over fences higher than 2'6" in height are not eligible for this division. Riders may not cross enter into classes with fence heights exceeding 2’3”. Points in this division follow the rider. Rusty Stirrup Division (2’): Open to amateur riders age 18 and over as of December 1st of the show year. Fence height is 2’ with no oxers. Riders who have competed over fences higher than 2'6" in height are not eligible for this division. Riders may not cross enter into classes with fence heights exceeding 2’3”. Points in this division follow the rider. 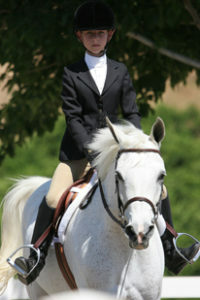 Green Rider Division (2’3”): Open to junior and amateur riders. Fence height is 2'3" with oxers. Riders may cross enter into either a Stirrup Division or the Low Children/Amateur Division, but not both. Riders may not cross enter into any classes with fence heights exceeding 2’6”. Riders under the age of 40 also competing at 2’6” may only enter if they are in their first two years of showing at 2’6”. Riders at the age of 40 and over may compete at 2’6” and Green Rider as long as they are no longer competing at 2’9” or over. Points in this division follow the rider. Horses showing in the under saddle portion of a division must also follow the same cross entry restrictions for the over fences portion regardless of whether they showed in the over fences portion of that division. Open Cross‐Rail Hunter Division (18”): Open to all horses and riders. Riders may trot or canter the fences. Points in this division follow the horse. Fence height is 18”. Baby Green Hunter Division (2’3”): Open to horses in their first or second year of showing. Fence height is 2’3” with oxers. Horses may not have competed over fences higher than 2’6” in height. Points in this division follow the horse. Thoroughbred Hunter Division (2’3”): Open to registered thoroughbreds. Fence heights 2’3” with oxers. Horses in this division eligible for T.I.P. points. Sponsor, Caroline Betts, to present monogramed cooler to series Hi Point in this division. Series reserve Hi Point to be awarded a bridle. Not IEHJA approved for points. 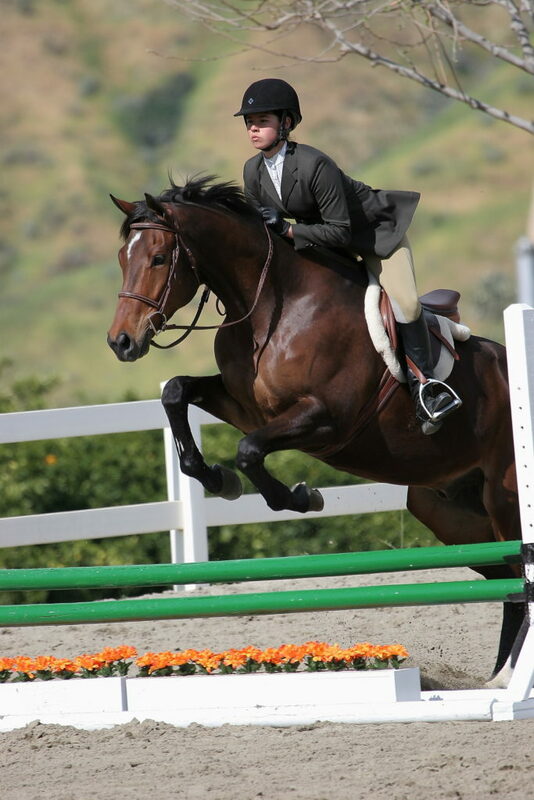 Low Children / Adult Amateur Hunter Division (2’6”): Open to junior and amateur riders. Fence height is 2'6" with oxers. Riders may cross enter into either the Green Rider Division or the Children/Amateur Division, but not both. Riders may not cross enter into any divisions with fences 3’ or higher. Riders may not cross enter into Stirrup Divisions. Points in this division follow the horse. 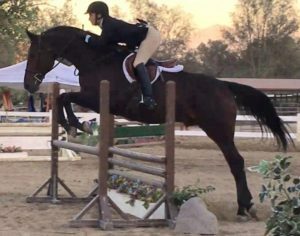 Low Children/Adult Amateur Eq. Division (2’6”): Open to junior and amateur riders. Fence height is 2'6" with oxers. Equitation over fences class may have one bending line. Riders may cross enter into either the Green Rider Division or the Children/Amateur Division, but not both. Riders may not cross enter into any divisions with fences 3’ or higher. Riders may not cross enter into Stirrup Divisions. Points in this division follow the rider. Low Hunter Division (2’6”): Open to all horses. Fence height is 2'6" with oxers. Points in this division follow the horse. Children / Adult Amateur Hunter Division (2’9”): Open to junior and amateur riders. Fence height is 2'9" with oxers. Riders may cross enter into Low Children/Adult Amateur Divisions. Riders may not cross enter into Green Rider Division or Stirrup Divisions. Points in this division follow the horse. Children / Adult Amateur Equitation Division (2’9”): Open to junior and amateur riders. Fence height is 2'9" with oxers. Equitation over fences class may have one bending line and a trot fence. Riders may cross enter into Low Children/Adult Amateur Divisions. No cross entries into Green Rider or Stirrup Divisions. Points in this division follow the rider. Modified Hunter Division (2’9”): Open to all horses. Fence height is 2'9" with oxers. Points in this division follow the horse. Junior / Amateur Hunter Division (3’): Open to junior and amateur riders. Fence height is 3’ with oxers. Riders may cross enter into Children/Amateur Division. Riders may not cross enter into Green Rider Division, Stirrup Divisions, or Low Children/Adult Amateur Divisions. Points in this division follow the horse. Junior / Amateur Equitation Division (3’): Open to junior and amateur riders. Fence height is 3’ with oxers. Equitation over fences class may have one bending line and a trot fence. Riders may cross enter into Children/Adult Amateur Divisions. No cross entries into Green Rider Division, Stirrup Divisions, or Low Children/Adult Amateur Divisions. Points in this division follow the rider. 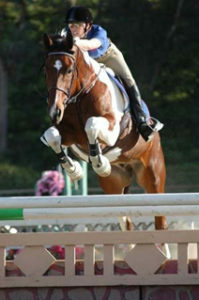 Schooling Children’s / Amateur Jumpers Division (0.7m or 2'3"): Open to junior and amateur riders. Riders may not cross enter into any division with fences 2’9” or higher. Points in this division follow the horse. Low Children’s / Amateur Jumpers Division (0.75m or 2'6"): Open to junior and amateur riders. Riders may not cross enter into any division with fences 3’ or higher. Points in this division follow the horse. Schooling Jumpers Division (0.75m or 2'6"): Open to all riders. Points in this division follow the horse. Children’s / Amateur Jumpers Division (0.85m or 2'9"): Open to junior and amateur riders. Riders may not cross enter into any division with fences 3’3” or higher. Points in this division follow the horse. Pre-Training Jumpers Division (0.85m or 2'9"): Open to all riders. Points in this division follow the horse. Junior / Amateur Jumpers Division (0.9m or 3'): Open to junior and amateur riders. Points in this division follow the horse. Training Jumpers Division (0.9m or 3'): Open to all riders. Points in this division follow the horse. 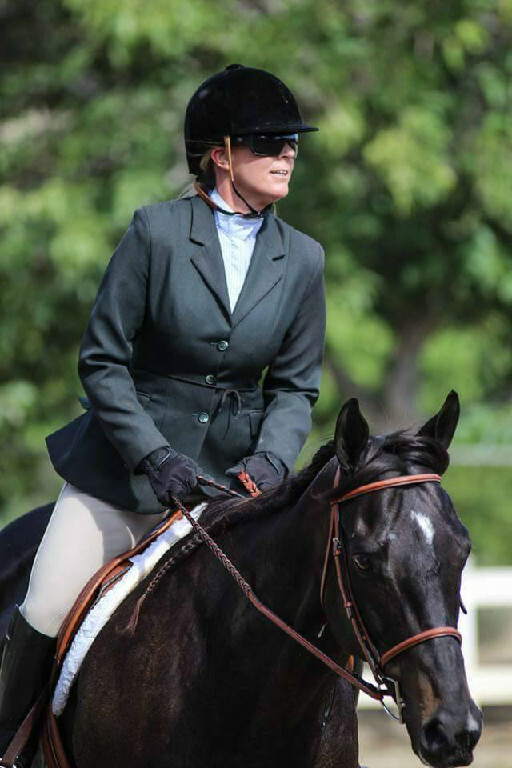 Show Manager Gretchen Clark, who is owner and trainer of Showcase Training Stables, is no stranger to hosting horse shows. She has held shows at Showcase for over 10 years, as well as for more than 12 years at her previous location in Sunset Hills, and has had as many as 80 exhibitors per show. Her shows are designed with the hallmark qualities of professionalism, set to be on-time, and managed with back-gate and exit gate efficiency for all divisions and classes. The facilities include a Jumping Arena, an upper and lower practice arena and a large, easily accessible parking area for trailers, trucks and cars. There is on-site food provided, sun shelters, and photographic services. At Showcase you will find smiling, friendly, and informative staff to assist you. 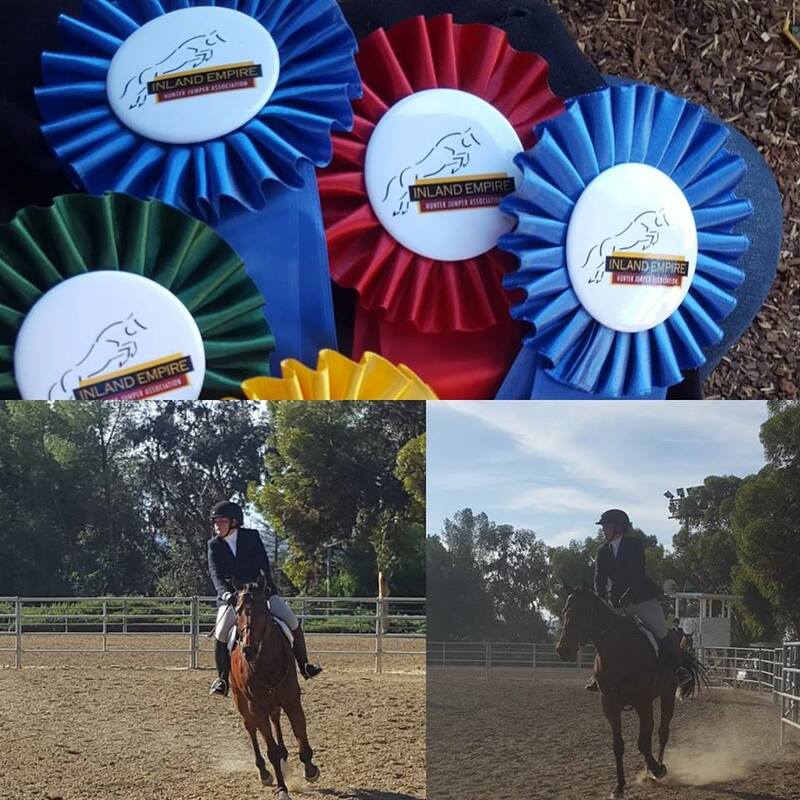 Showcase is proud to be a part of the Inland Empire Hunter Jumper Association, which sanctions shows at a variety of venues in the Inland Empire. 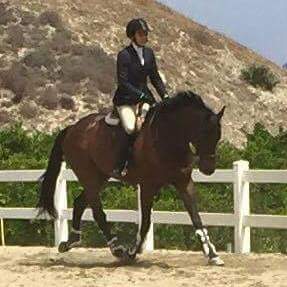 All Showcase Shows are Inland Empire Hunter Jumper Association rated. For more information on the IEHJA, including rules and other sanctioned shows, or for IEHJA standings, visit their website http://www.iehja.org. 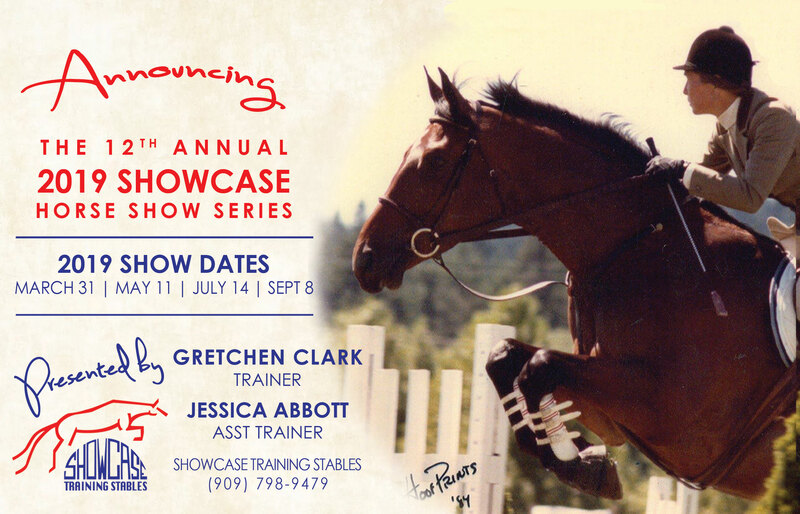 Showcase offers a VIP tent to the trainer with the most entries in each show.